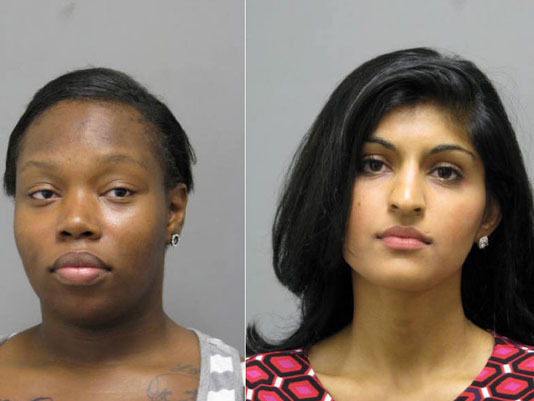 WOODBRIDGE, Va. - A northern Virginia preschool teacher has been charged with assault and battery for allegedly biting a 13-month-old boy in her care. Police in Prince William County say 24-year-old Theresa Brown of Woodbridge bit the boy after he bit another teacher at The Goddard School in Woodbridge. Police said Monday that Brown left a bite mark on the boy's shoulder. Police say that a co-owner of the school, 24-year-old Nadia Choudhry of Manassas, was charged with failing to report the Sept. 11 incident to authorities, as required by state law. A phone call to the school was not immediately returned Monday. Brown's phone number is unlisted, and her attorney in an unrelated matter didn't return a call for comment Monday.